Protocol is important. It should be practised until it becomes a habit and integrated totally into your daily life, to the point that you no longer realise that you are merely performing a series of actions – and not necessarily doing something useful. Of course, you may be doing something useful, but that is no longer the point of the actions. They are there to reinforce whatever solution to an issue the protocol was initially introduced to provide. This brings us rather neatly to the subject of muddy feet. The Dog, being a King Charles Spaniel, performs many of the same functions as a motorised road sweeper, the ears and tail alone can transfer several skip-loads of dead leaves, dry grass and many other hallmarks of our rural existence, into the house as a result of a twenty or thirty minute meander along our local byways. This means that on arriving home, after our morning excursion, she must suffer the slings and arrows of having her ‘feet’ wiped. The depth of this grooming depends on the time of the year, related to the amount of dried up vegetable matter, and the weather, related to the amount and variety of the mud she has managed to accumulate. The protocol is well established. On entering the house the feet and any other part needing it, are cleaned. Then you sit and receive a dog treat or a choc-drop. 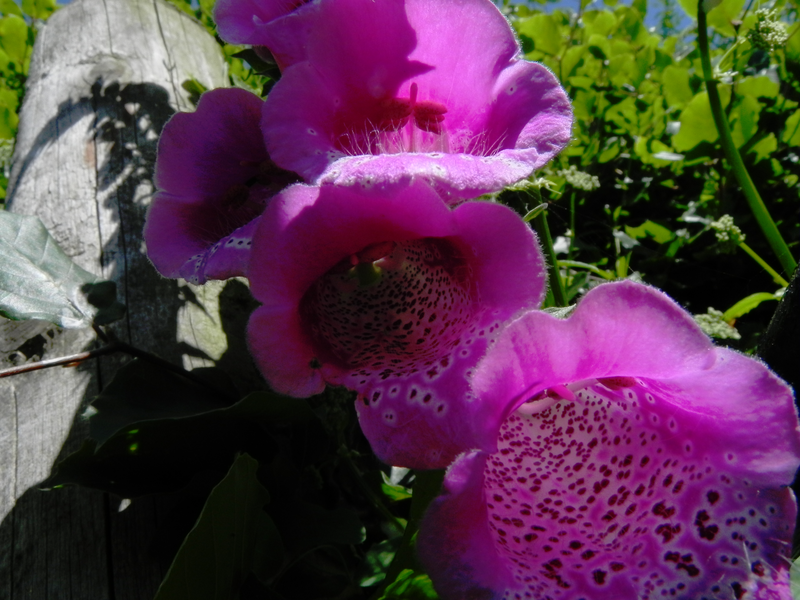 It seems to me that Foxgloves could do with a similar protocol for visiting bees – or at least a sign saying Please Wipe Your Feet.